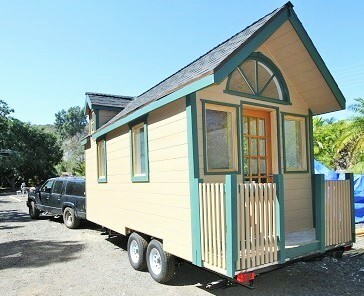 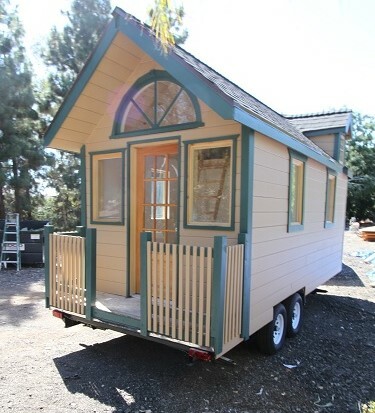 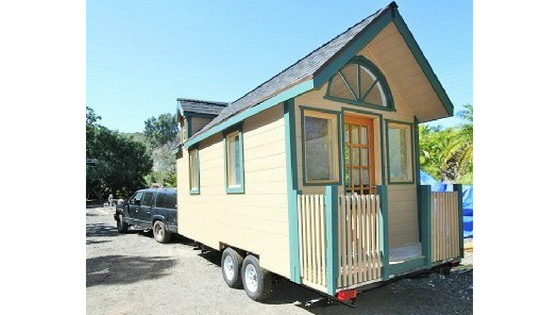 A charming cottage-styled tiny house on wheels from Tiny House Cottages. 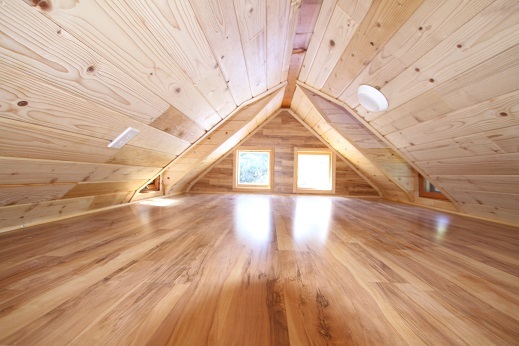 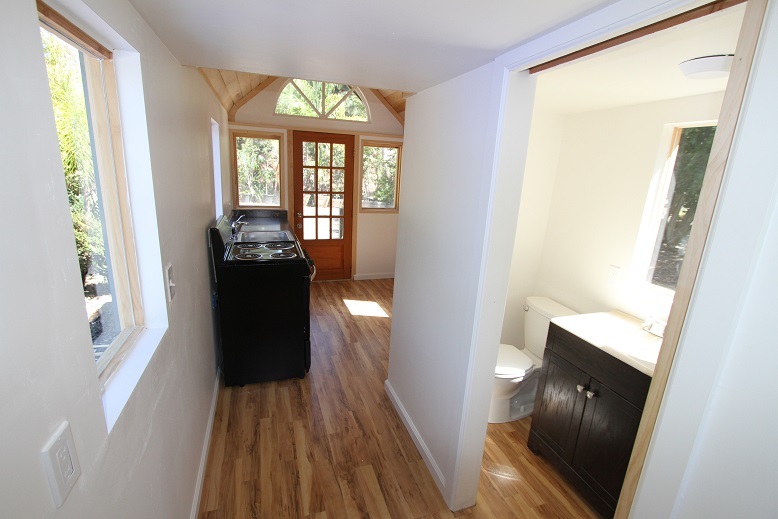 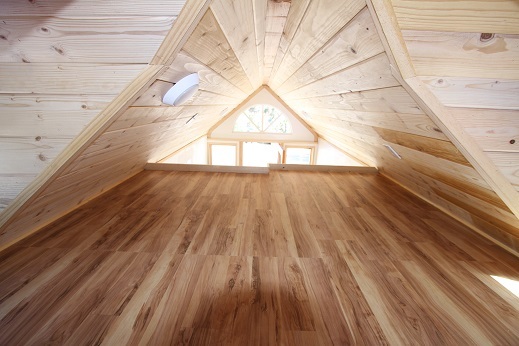 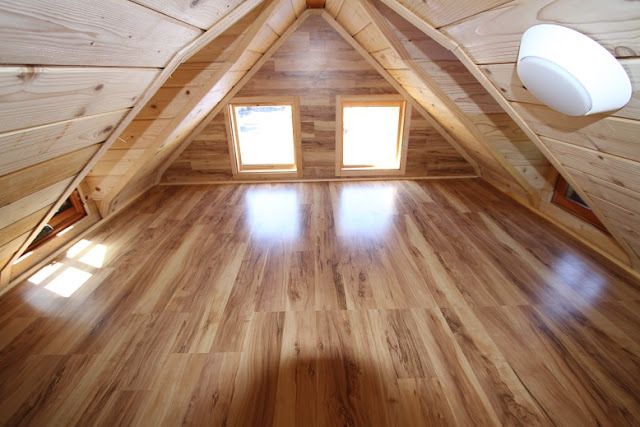 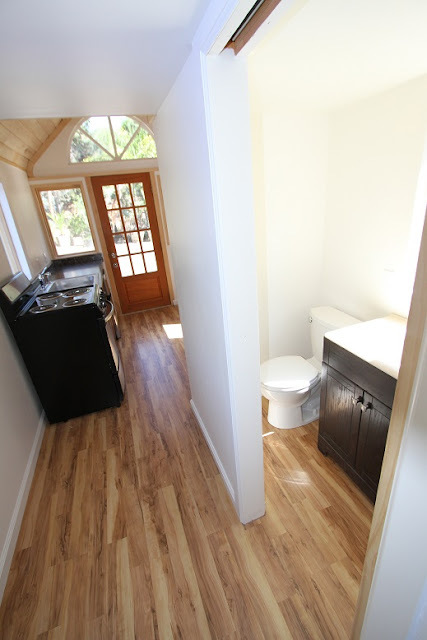 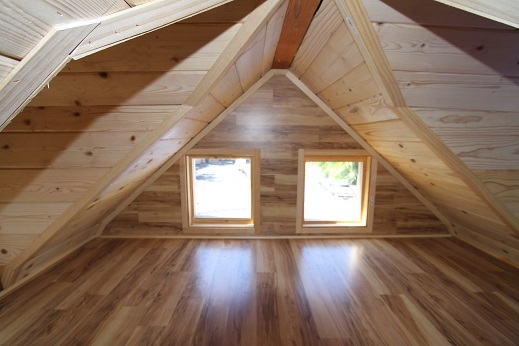 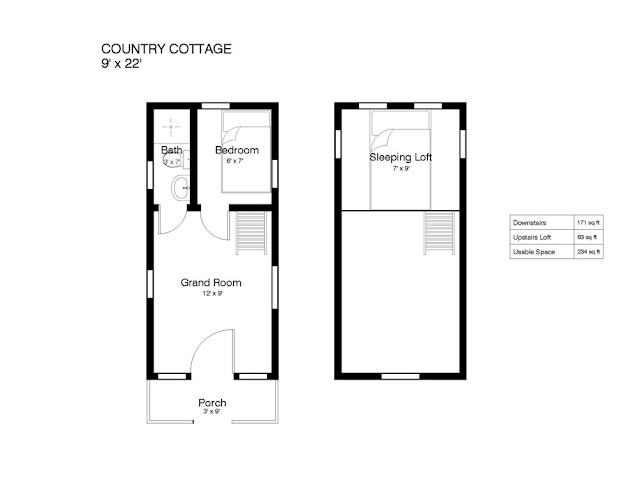 Inside is a warm knotty pine interior with two bedrooms- one on the ground floor and another in the loft! 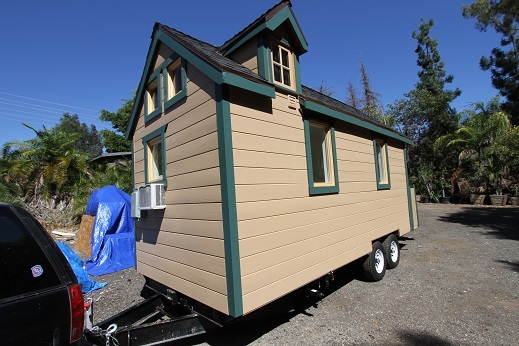 Pictured here is the company's 22' model, but the home can be custom ordered in lengths ranging from 12' to 36'! 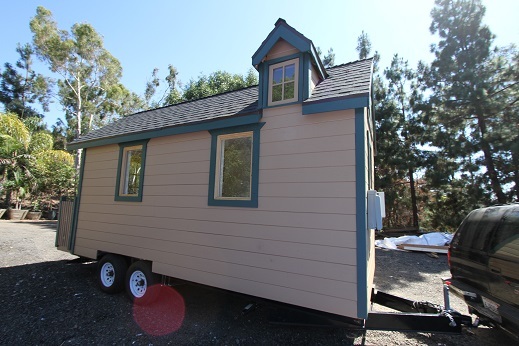 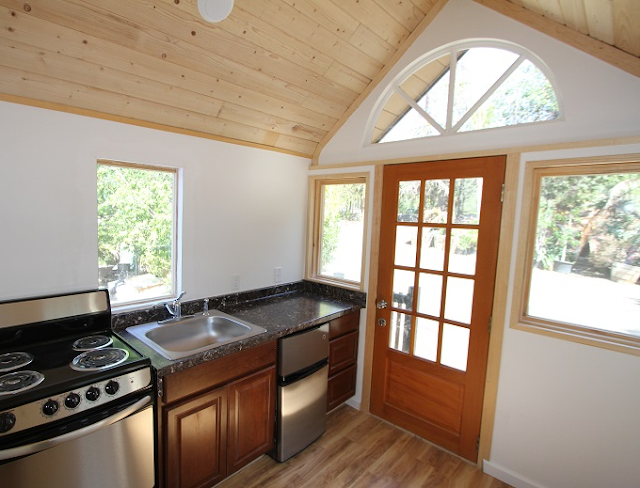 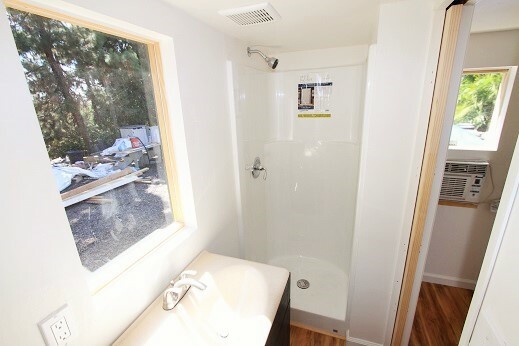 To order or ask further questions, contact Tiny House Cottages here!